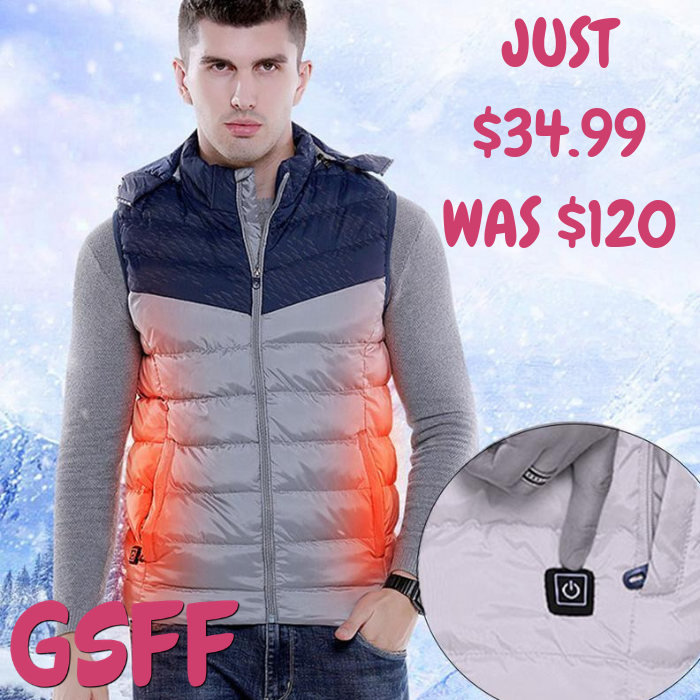 Men's Heating Vest Just $34.99! Down From $120! FREE Shipping! You are here: Home / Great Deals / Men’s Heating Vest Just $34.99! Down From $120! FREE Shipping! Men’s Heating Vest Just $34.99! Down From $120! FREE Shipping! You can score this Men’s Heating Hooded Vest at Overhalfsale.com for just 34.99 down from $119.99 PLUS FREE shipping! Stay warm in this cold winter! The brand new USB Smart Heating Hooded Cotton Vest is ideal for all types of cold weather. With back and rib cage heating technology you’ll never be cold. This thermal heated vest is built to last. Enjoy warmth during any storm.